Yamaha MOTIF XF Reviews - Yamaha's "next generation" keyboard workstation - Share your views. What do you think about the new Yamaha MOTIF XF? Watch the following videos and share your views about this new Yamaha MOTIF in the form below. The new MOTIF XF series includes the MOTIF XF6, MOTIF XF7 and MOTIF XF8. Share your opinions below. Other readers will be able to read your review or comment and add their own. Thanks a lot for sharing. 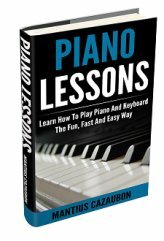 Go here to learn to play keyboard and piano. - Loading time for flash is approx 2.4 seconds for 1MB. 512MB takes about 20mins to load. In the comment form below, share your views on the Yamaha MOTIF XF series, the MOTIF XF6, MOTIF XF7 and MOTIF XF8. It is now Jan 2 2015, one of the feature I am looking for is "PATCH REMAIN"
I will be using the keyboard for live situation and we normally play continuous songs in a set without a break. I also use different patches in a song. I need to know if the keyboard will be able to retain the patch as I press the button for the next patch I need and have a smooth sound transition. I am a very good musician. I purchased a new XS8 and it is very difficult to learn how to use even the simplest of its features. This is one complicated keyboard. I hardly ever play it; it is collecting dust in my music room. I should try and sell it. If you are a rocket scientist and a musician then go ahead an buy it because your probable one of the only people that will be able to figure out how to use all of its features. They sure impressed me with all of the demos; little did I know. XF8 passes my Thumb Drive Test. As a serious song writer and studio keyboardist, I've looked at the XF8 for quite awhile. I think in the end, we all have to decide just what it is about this machine that is worth everything about it (including the price and optional expansion costs). I love this fx motif so much but i dont have money to buy one,but i can pay later if yamaha can give me one fx7. ROM memory is not huge by any stretch of the imagination. THat aside, what did we get in the doubling of the memory? A piano, few organs, clavinet, and a freaking harpsichord? What a joke...I sold my XS before I played the XF. Lesson learned - never again. I could have kept the XS and bought a true sampler that would blow the "upgrade" out of the water...Who needs the damn sequencer when the keyboard comes with a great sequencer anyway??? Who are you kidding? The sounds are still the same, just more of them. What is needed,is not there. What a game, this marketing hype. With the B3 sounds coming back to the music scene, I'm surprised that the Yamaha Motif does not have good on board B3 sounds that can use the sliders as drawdown bars. Instead, users have to purchase stuff like B's knees to achieve the B3 sounds. This is an expensive keyboard. We need B3. I think you should add a hard drive to be used for recording and storing samples. I don't even have one yet but will when I get my tax return...Anyway, I love Yamaha Motif's and understand what they have done but to say that nothing can touch it, even in the finest respect for Motif, is such a lie. Yea so we're all giddy cause we're getting this machine, but I would really like to have the OPEN LAbS NEKO XXL. Thats the keyboard/workstation/15"touchscreen computer/mixer/drum pad/dvd burner/keyboard/....this thing can hold way more than yamaha....AND HAS Twelve-Thousand sounds already in it. Runs as a PC, has MIMIK which can take any sound from any keyboard or whatever and read it....this means you can store all your motifs in this baby and not carry anything but this one machine.....BUT ITS BIG. Check this thing out see what the real producers who actually own one say about it....not the sissy reviewers like us who give it crap....basically like i just did...I will get one someday, and put my xf in it. Yamaha product keyboard is my all time favorite. This new motif xf (as by looking from the many demo'videos) is the best keyboard ever produced in the market. So to have the proof for this i bought myself a new Yamaha Motif Xf7,and it will reach me here(home)tomorrow :). For this kind of keyboard I don't mind spending more for it :). The Best Motif Yet !!!! I am a longtime Motif owner (Motif, ES, XS, and now XF). They just keep getting better and better. They are not radically different from the one before, but rather evolved in a very positive way (better and more detailed sounds, more sample memory, more voices, better display...and now FLASH MEMORY). There are a lot of keyboard workstations on the market today..I usually buy them all, and try them in the studio and onstage to see how they work for me..if they don't, they go on eBay. But the Motif is the workstation that I get and keep...to be sold only when Yamaha raises the ante once again. In terms of build quality, sound quality, features, etc., the Yamaha Motif can't be beat. That's why I have two, one for the studio (XF8) and one for the stage (XF7). Check them all out...I think that you'll agree. Yamaha MOTIF XF...the best MOTIF yet !! This instrument sounds so organic, acoustic, and REAL..it's scary. I have owned every MOTIF, and they just keep getting better and better. The XF is the best to date, and with the flash memory, a ton of voices can be loaded up. I cannot give any synth workstation a higher recommendation than this one. In fact, I like my XF8 so much that I just sold some gear, and bought a XF7 to use outside of my studio. WHAT THE DIFFERENCE ABOUT XS8﻿ ??????????????? YAMAHA YOU MAKE JUST MARKETING!! Wrote: "The biggest difference is the ROM increase, and in this days, you can't say than 750 MB is an enormous ROM." FACT: No one offers a larger wave ROM. Do you understand how waves are compressed and expanded as needed? Wrote: "I have a motif 7 and would like to buy an xf7 but why are they $700.00 MORE than the xf6 and only $400.00 less than the xf8 with the more expensive BH keyboard....bad pricing by Yamaha,makes me think I'll buy a Korg instead !" FACT: It's a matter of sales history. 61 & 88 keys have ALWAYS outsold 76. Therefore the price reflects the limitied supply of 76 key units. Ask Korg and they'll tell you the same thing. Wrote: "How about a Yamaha MOTIF XF without a 16 track sequencer?" Just like they've always done with previous Motif workstations, a rack version follows about a year after the workstation's release. It's $1000 cheaper and it's called the 90XS (or 70XS). It records audio, has the same arpeggios and voices as the Motif XS but no sequencer, which is why I won't be buying one. Good that yamaha comeout with XF series in Black.The outlook is good. waiting to see the performance and sound quality. Company should fix two 512 flash memory card inbuilt and 1gb as an optional.What will be the price of motif XF7 in India? when are you supplying to India. I have a motif 7 and would like to buy an xf7 but why are they $700.00 MORE than the xf6 and only $400.00 less than the xf8 with the more expensive BH keyboard....bad pricing by Yamaha,makes me think I'll buy a Korg instead ! I think they could add more things. The biggest difference is the ROM increase, and in this days, you can't say than 750 MB is an enormous ROM. The FireWire conection shouldn't be optional, this is a expensive workstation. Improved features, great look. The black on black looks good. Well done, Yamaha. Very impressive. Thanks for highlighting the differences between the MOTIF XS and XF. I'm thinking of buying it. How about a Yamaha MOTIF XF without a 16 track sequencer? I think that the Yamaha MOTIF is a great instrument! Yamaha has done a great job. But I'd love to see a MOTIF with all the sounds and features except the worksstation/sequencer. This would mean a cheaper instrument. Today, many musicians use DAWs and can do without a built-in sequencer. I would welcome a version of the Yamaha MOTIF XF that doesn't include a sequencer. Join in and write your own page! It's easy to do. How? 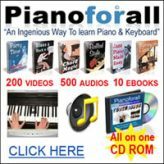 Simply click here to return to Yamaha MOTIF Keyboards Discussions.